Hi friends & happy Wednesday! 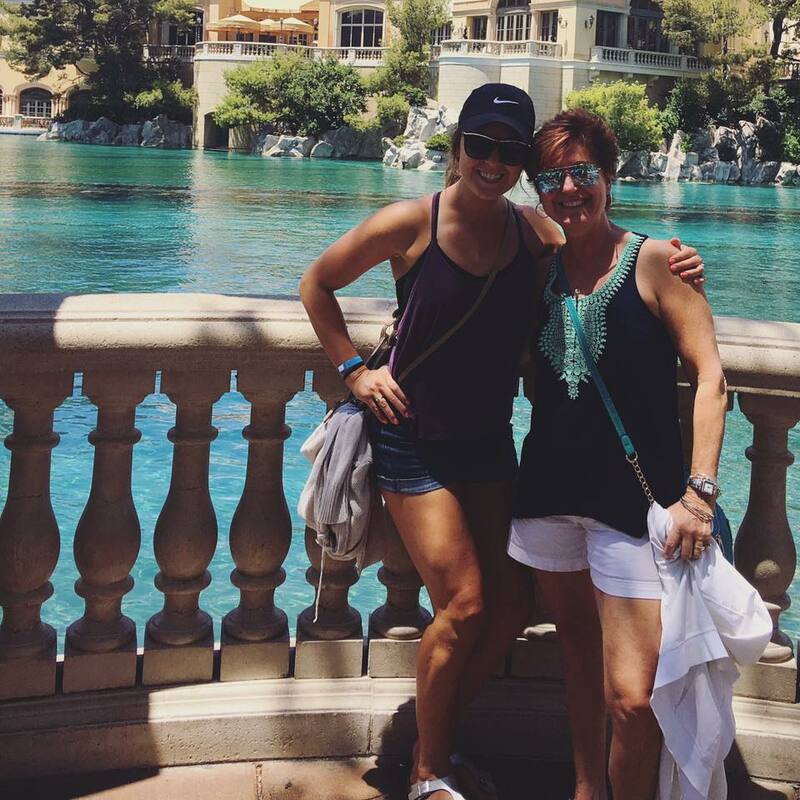 I started typing this on Monday when I was with my travel buddy (my mom) thousands of feet in the air about the awesome weekend we had in Las Vegas for the 2017 IDEA World Convention & BlogFest! It doesn’t always matter where you’re going, it’s who you have beside you. Plus, we’re usually lost half the time. 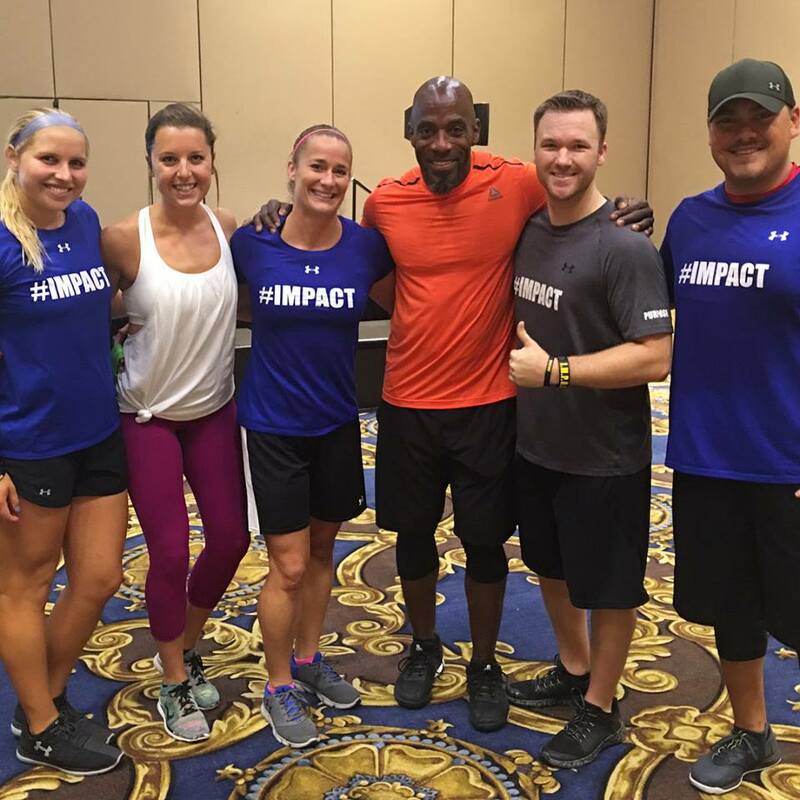 This year we traveled around with our OG FitFam! Why OG? Jesse (in the middle) and I both grew up with our mom’s being Trainers. My mom is on the left and his is in the black shirt, Mary Jean! 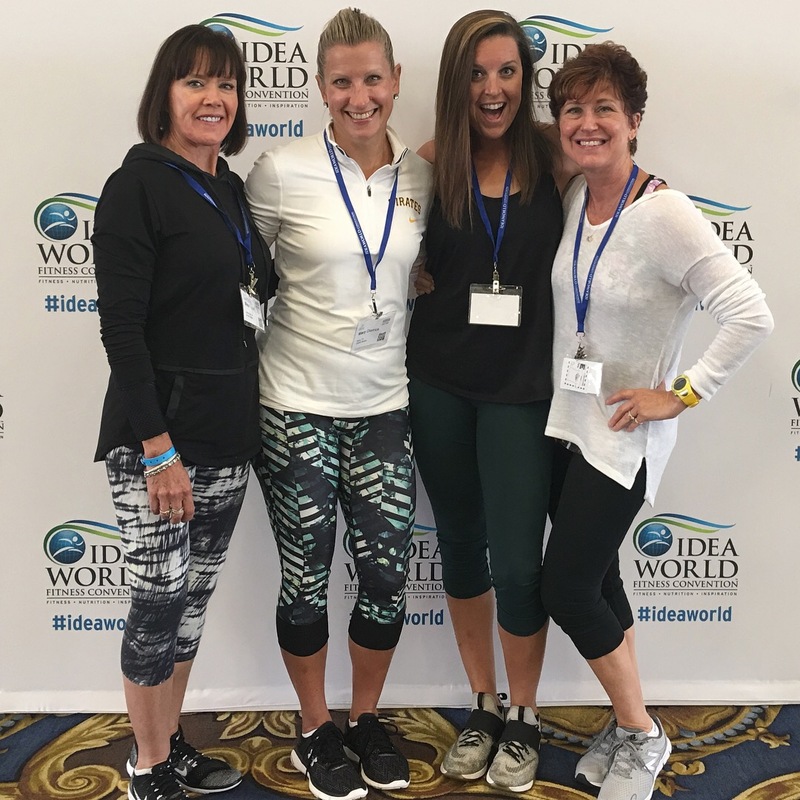 Bina on the right is one of my mom & Mary Jean’s training partners in Pittsburgh so we truly have been so close our whole lives. 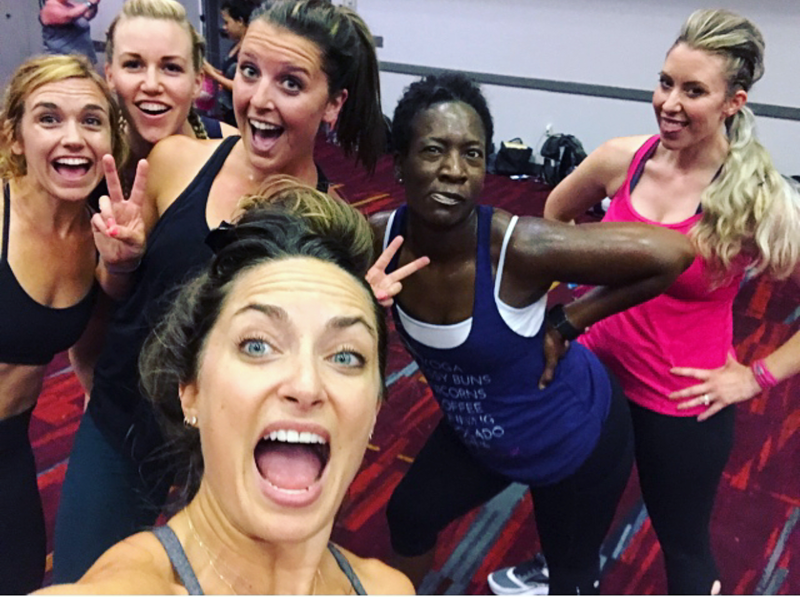 Last year, due to our wedding, I wasn’t able to attend so I was super excited to have a reunion this summer with my fellow bloggers, trainers, & my Fitness Quest 10 fam! 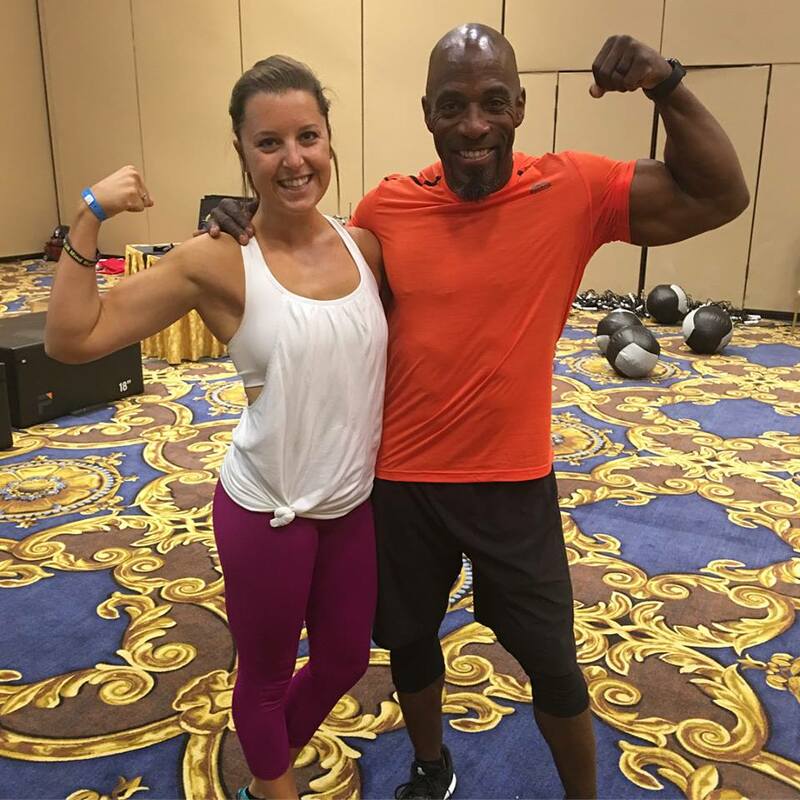 We took an awesome session led by Bennie Wylie from NBC’s STRONG and one of Todd’s BFFs. 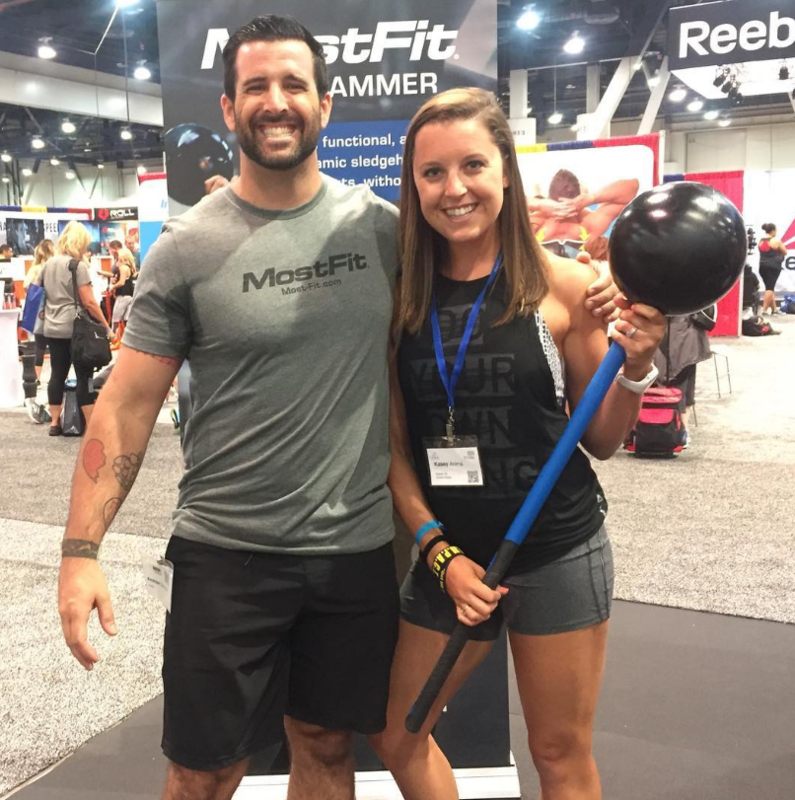 He presented on Training Vs. Coaching which is right up my alley! 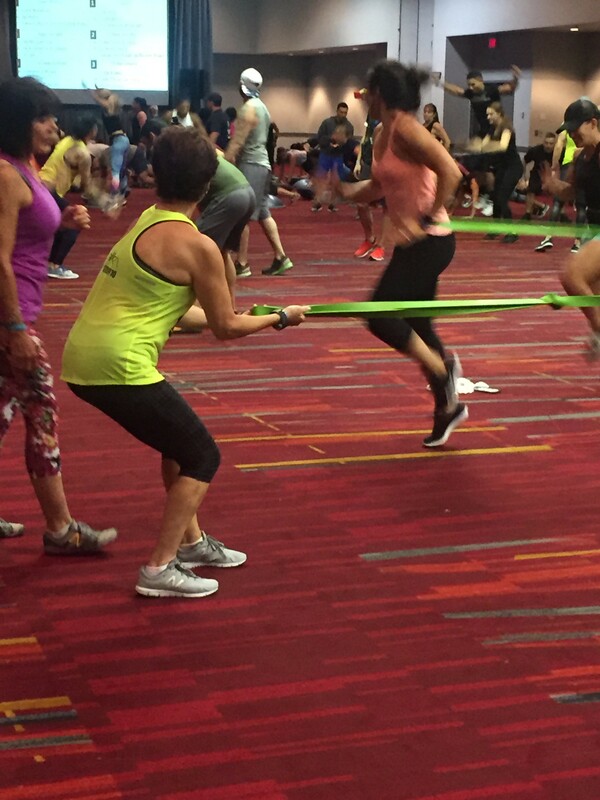 We learned new circuit ideas and how to truly be a coach to your athletes AND clients. 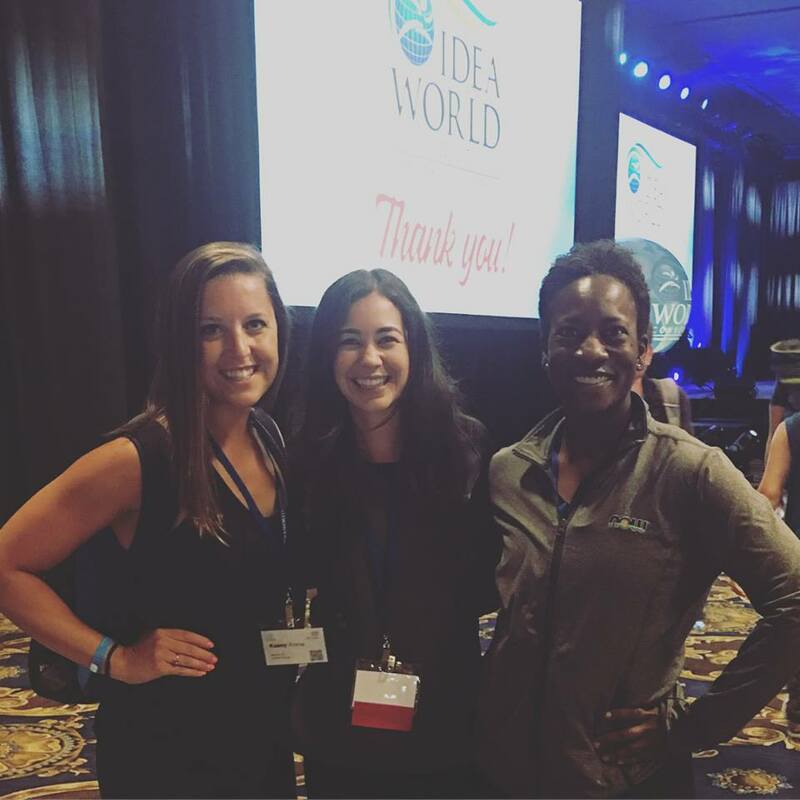 If you haven’t experienced or heard about the IDEA World, it’s basically 10,000+ trainers and fitness professionals that come together to further their education with hundreds of sessions to choose from each day. 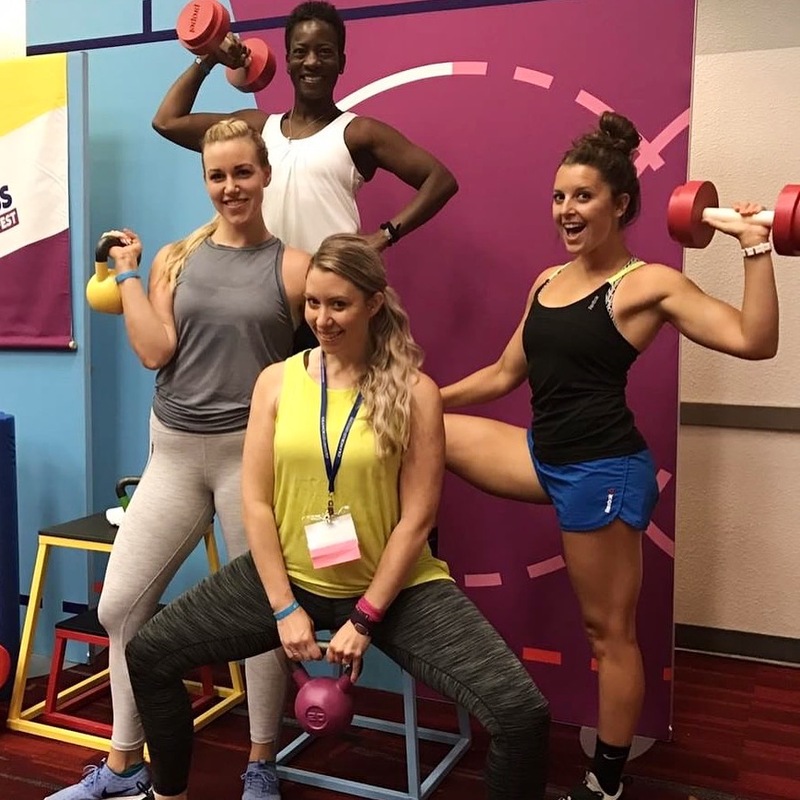 On top of the education and credits you earn towards your certification, you get to connect with like-minded individuals, participate in energy pumping workouts, & learn more about your craft/passion. 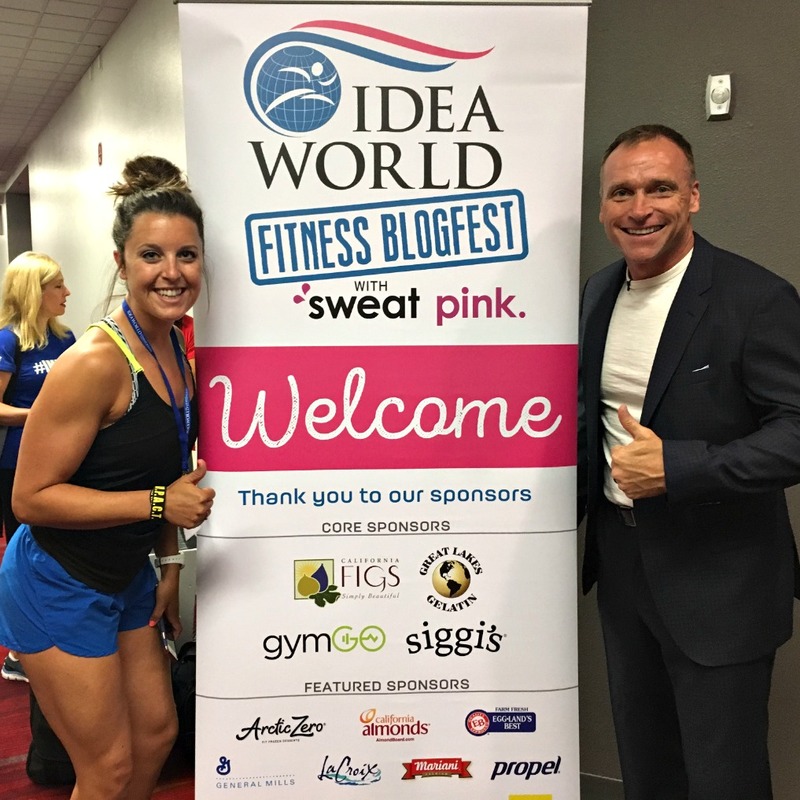 Now, if you’re a blogger with an emphasis on fitness/food and you haven’t heard or experienced BlogFest, you need to get on it! ;] BlogFest is in it’s 4th year and runs during the Thursday + Friday of the IDEA weekend. 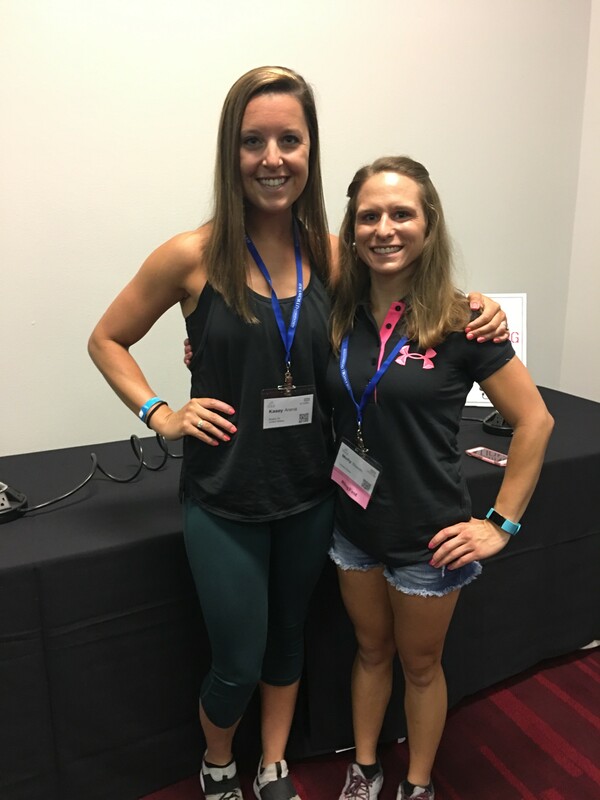 BlogFest, run by the amazing ladies from FitApproach, brings together 150+ bloggers thanks to their amazing Sponsors and has 2 days worth of education sessions, workouts, & networking. If you’re new to blogging or have been in the game for a while. it’s SO worth checking out! It’s like a big reunion every year and I love it. 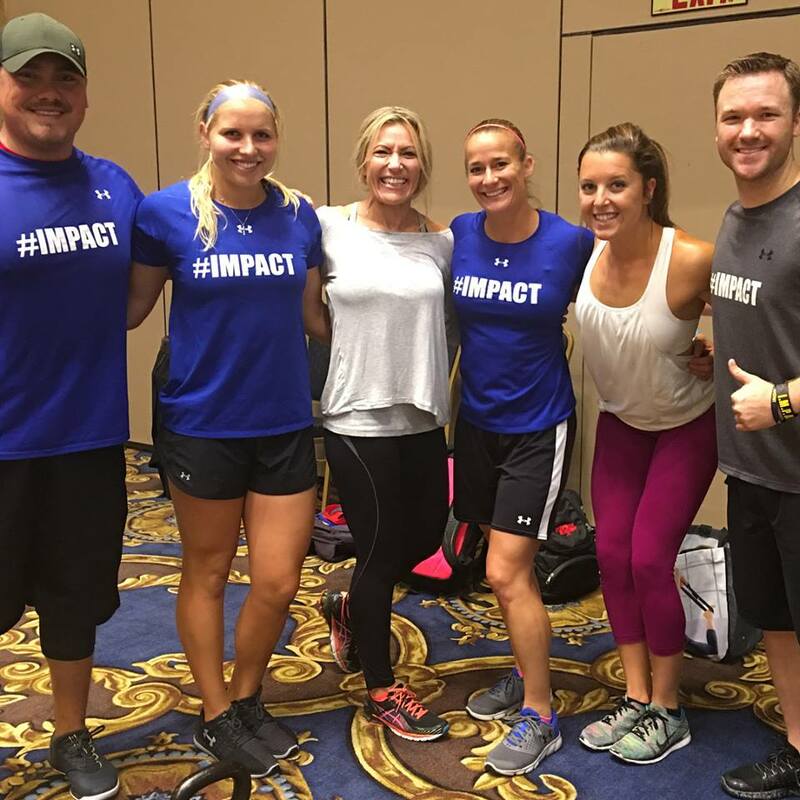 We had some awesome workouts from STRONG by Zumba & Propel and amazing sessions by fellow bloggers & keynote by my man, mentor, friend, & former boss, Todd Durkin! 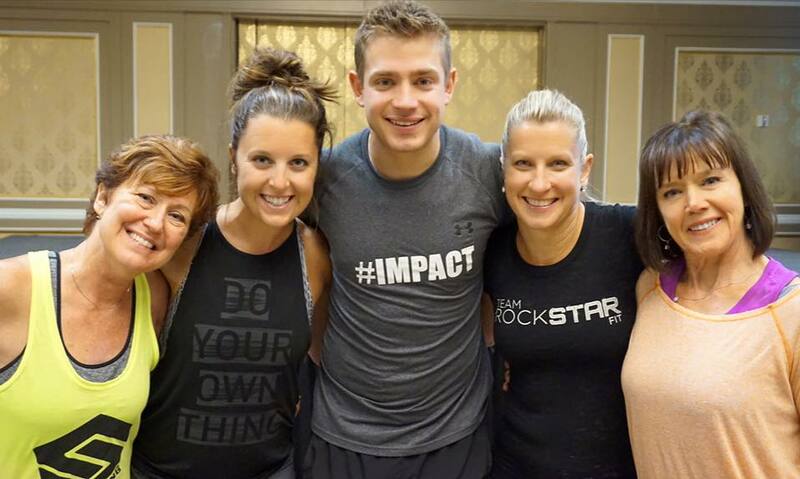 Todd Durkin also won this year’s Jack LaLanne award which was so awesome to watch and led the most amazing TD WOW Workout! Check out my Instagram to see some video clips from 100’s of trainers getting AFTER it. 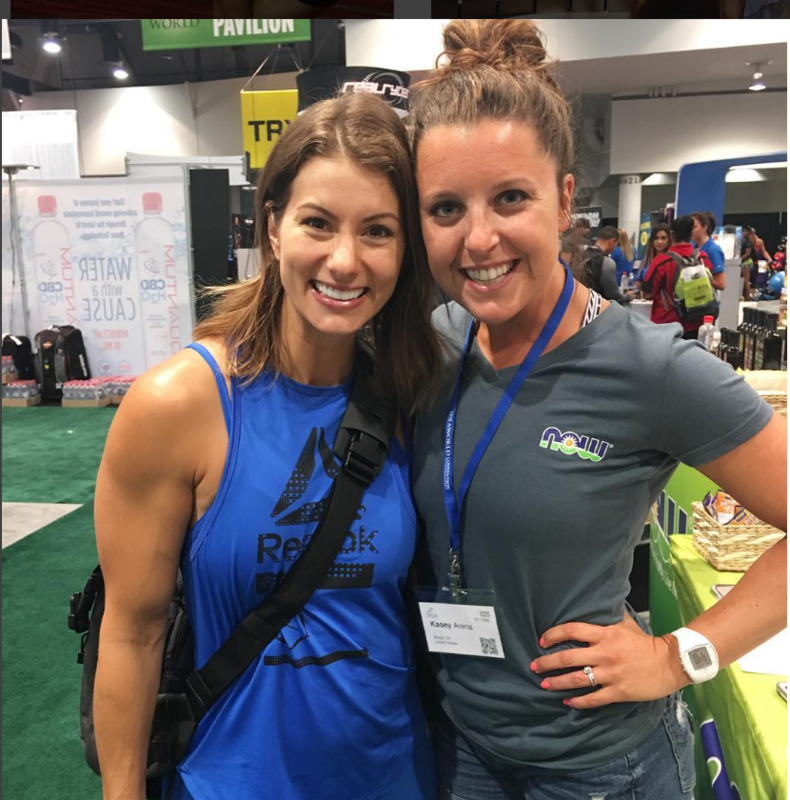 Some other awesome meet ups were with some fellow bloggers & some of my favorites companies like @Mostfitworkouts & of course my FAMILY at NOW Foods! My connections in this industry mean SO much to me and thanks to them, I’m supported to attend these conferences. 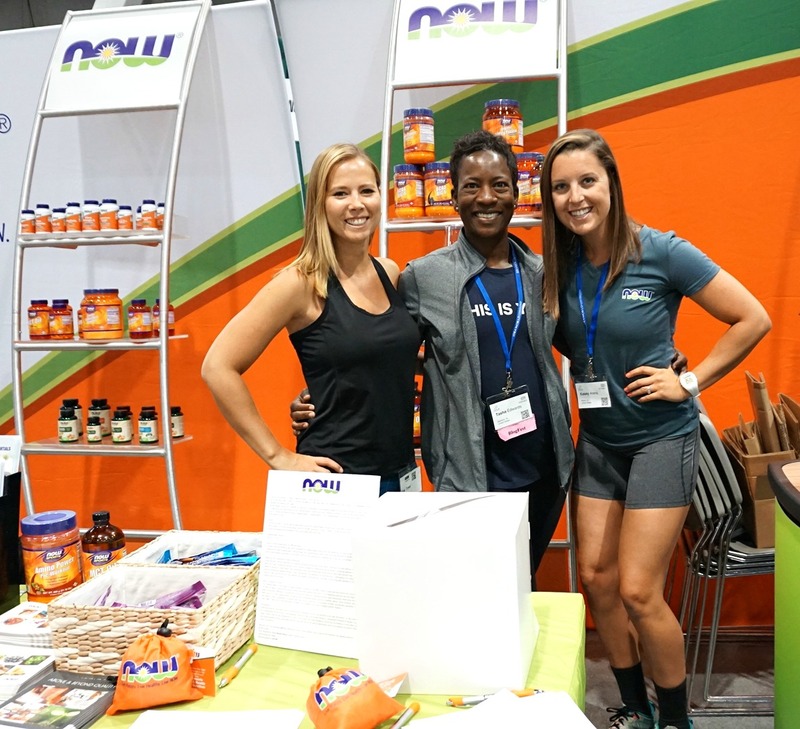 I LOVED seeing a ton of familiar faces at the NOW booth in the expo where my girl Tasha and the NOW team got to hang out throughout the weekend! Really can’t thank NOW enough — truly my family. Jen Widerstorm even stopped by and gosh, she is so down to earth and I adore her raspy voice! Loved seeing some other friendly faces! @bridgesthroughlife Alicia! 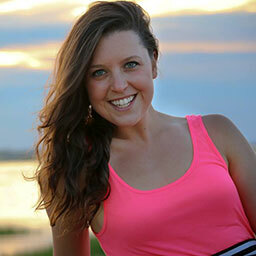 The adorable Molly @slavin2bfit! My girls Jill (@jillconyers) & Jill (@jillgriffiths_)! Now, not only were the workouts & events great, but the food was awesome as well. 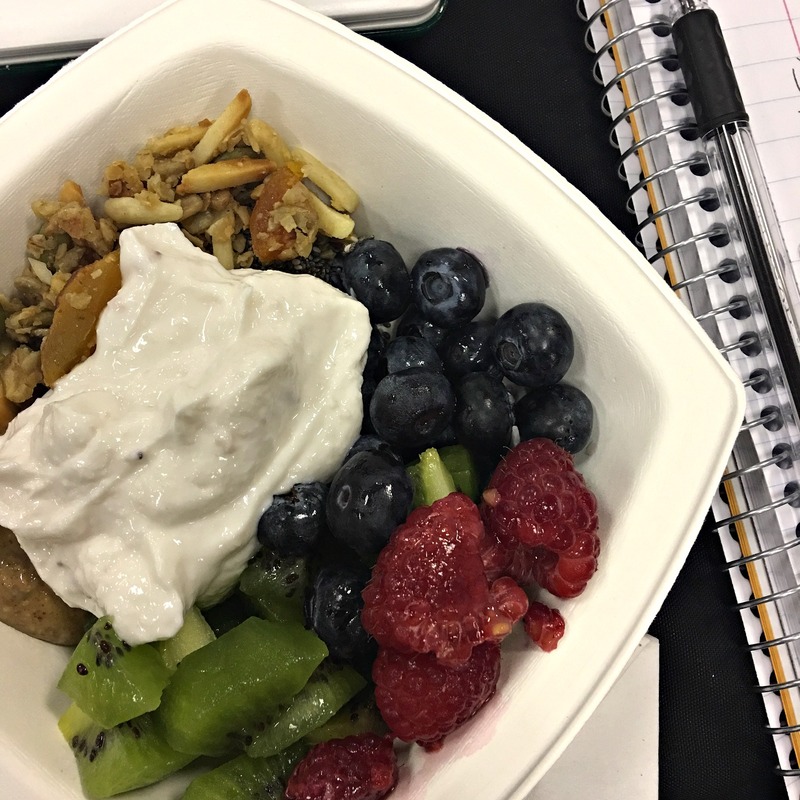 The sponsors had amazing choices for us every morning like Siggi’s yogurt parfaits & LaCroix water galore. 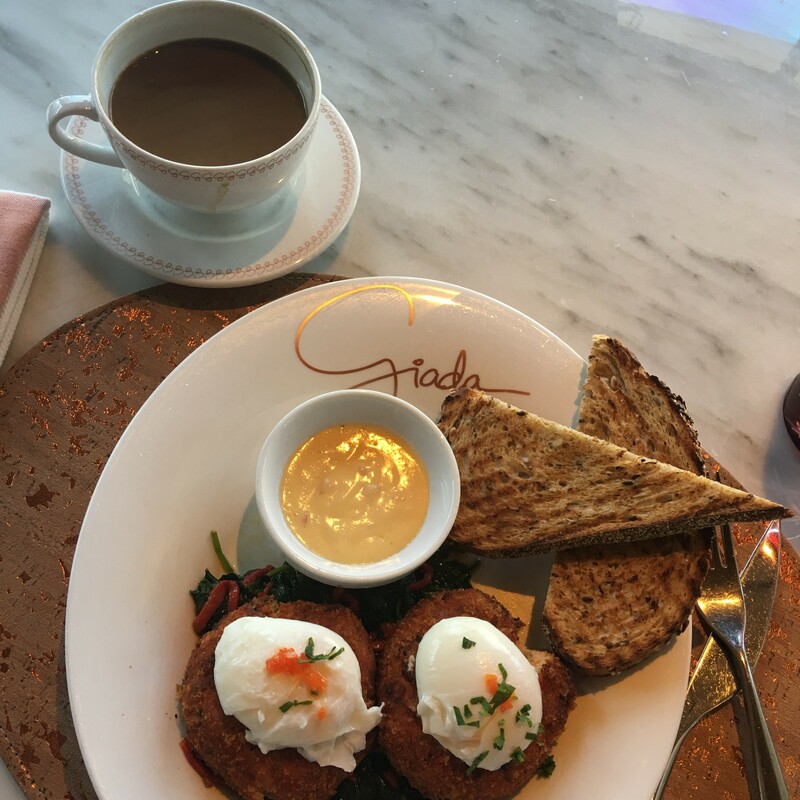 We tried a bunch of places out and from the food network fan girl inside of me, Giada’s restaurant really stood out! I ordered salmon cakes with poached eggs….so dang good. After going to these Conferences, I get so fired up with new ideas and motivation to get back at it. I admit, I’m not as consistent with blogging as I used to be, but I’m ok with that. Blogging has been such a big part of my life & has connected me with SO many amazing people around the world that it is always part of me. With being so busy (thankful!) 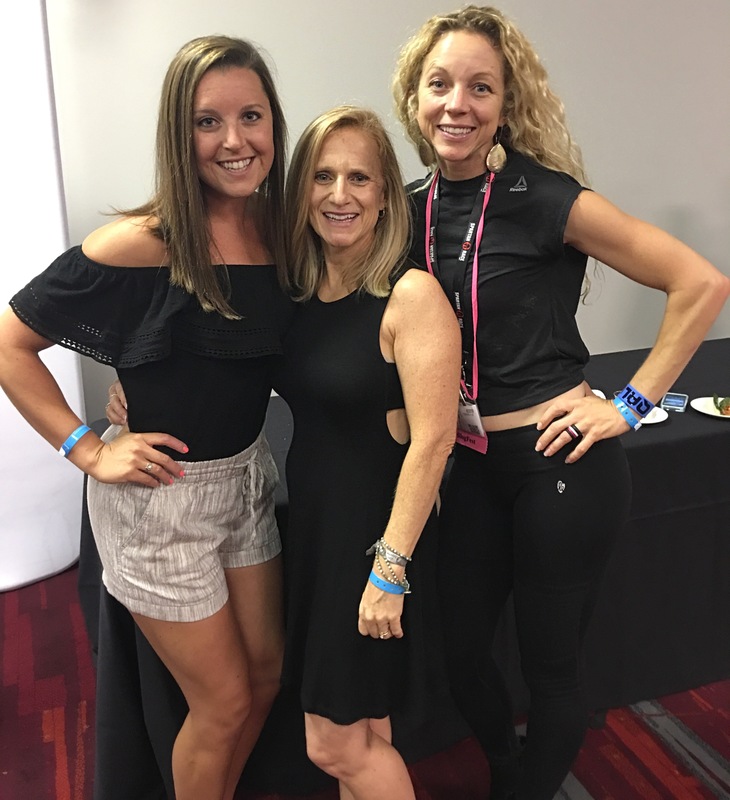 with my training business, clients, athletes, & more — blogging may not always be the first thing on my priority list but going to events like these make me feel secure in knowing that it’s ALL good. I flow better when IT flows into my life and it will always be my place to come to and share, teach, connect, & learn. Thank you all for following along on this journey! I am overwhelmed at how many people came up to me over this weekend saying “hi powercakes!”. It blows my mind and I am forever thankful and blessed to meet such amazing people. Be true to you always! Getting in my daily omegas from a single plant seed --> Ahiflower! Yes I am still hanging onto cloud 9 and so motivated and inspired after Blogfest. I have been writing daily, per Todd Durkin’s words and getting some posts together. So much fun. 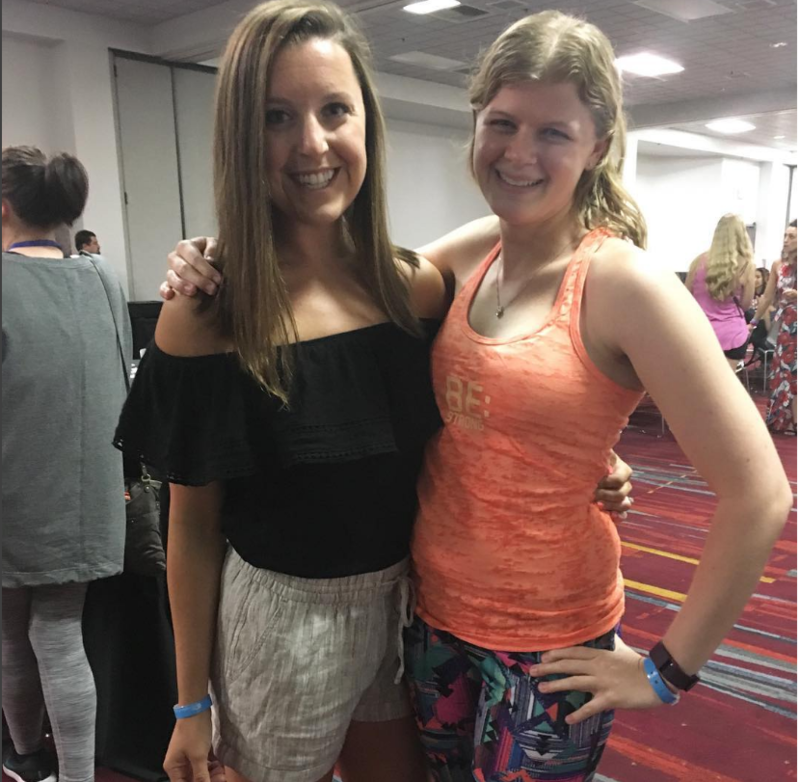 I don’t think we had a chance to connect this weekend, but I am so happy you had an amazing time at BlogFest! 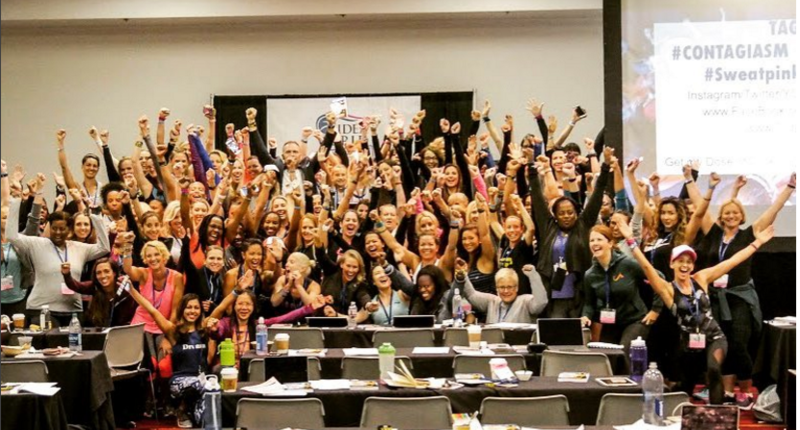 It’s so rewarding to connect with so many active, healthy, and inspiring women! Hope to meet you next time! BlogFest/IDEA flew by so fast! What an amazing weekend! 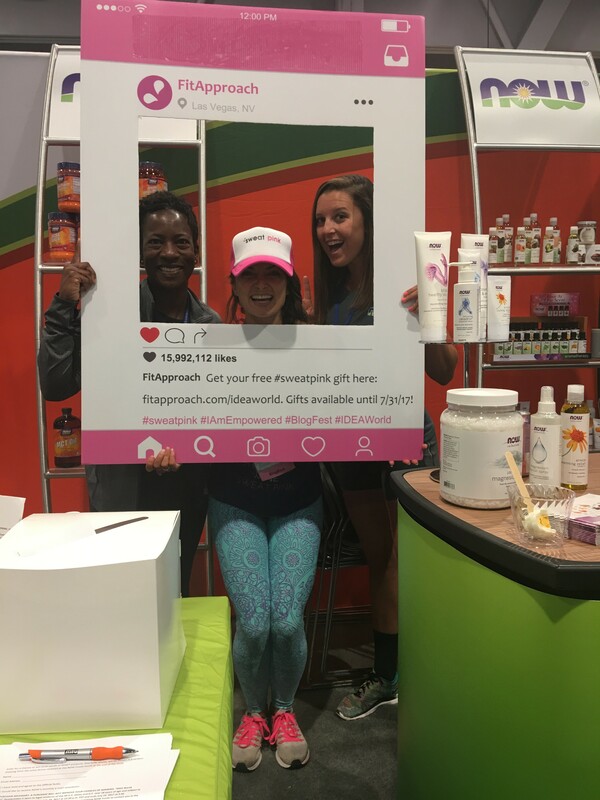 I’m so glad I got to meet you IRL – it was great seeing a lot of OG sweatpinkers there this year! !